This extraordinary all-in-one zoom lens covers practically any shooting situation you’ll ever encounter with your mirrorless interchangeable-lens camera*. Light, compact, and exquisitely designed, the B011 covers the full focal-length range from 18mm wide-angle to 200mm long telephoto (27‒300mm equivalent in the 35mm format). 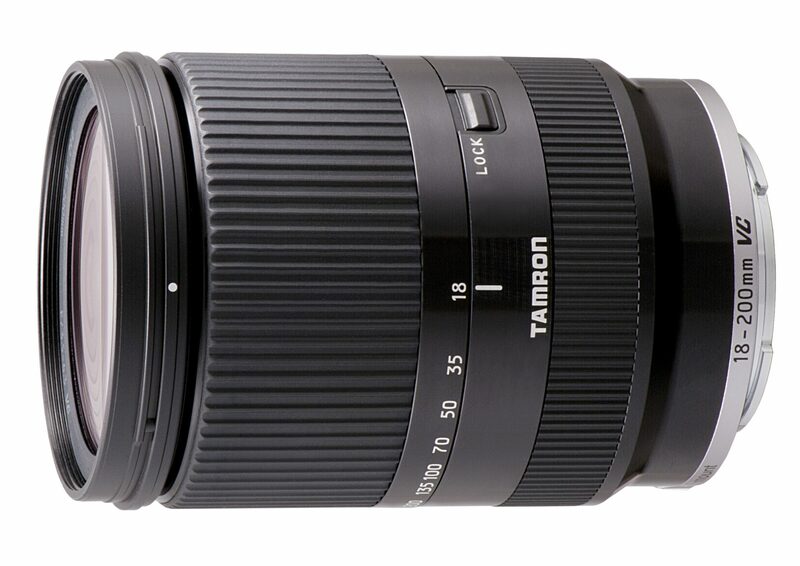 This is Tamron’s first high-power zoom lens designed exclusively for Sony’s NEX series E-mount cameras. * “Mirrorless interchangeable-lens cameras” are also known as “compact system cameras”. A brilliant match for today’s mirrorless interchangeable-lens cameras, the pleasingly small, lightweight B011 provides all the advanced technologies you need to take your photography to the next level. Its impressive 18‒200mm, high-power zoom range can take in everything from casual close-ups to telephoto action images. The more you use this lens, the more you’ll want it by your side whether on a quick stroll or on longer journeys. * The B011’s optics include two LD elements, three Glass Molded Aspherical Lenses, one XR (Extra Refractive Index) glass, and one Hybrid Aspherical Lens. The B011’s polished design and professional metal finish come together in a compact package that is fashionable, ergonomic, supremely portable, and easy to use. Choose from black or silver models to match your camera body. The B011’s autofocus mechanism uses a stepping motor that’s an ideal match for the contrast detection autofocus system used in Sony NEX series cameras. The stepping motor’s actuator allows finely tuned control of angular rotation, and since it drives the focusing mechanism directly without an intermediate reduction gear, it also provides superbly quiet performance. You can count on this to enhance autofocus capability when shooting video. Furthermore, after adjusting with the autofocus mechanism, you can use the Direct Manual Focus (DMF) function to allow delicate adjustments to the image. * On NEX series cameras (the NEX-3, NEX-C3, NEX-5, and NEX-5N) that use APS-C size image sensors, the B011 provides an angle of view equivalent to a 27‒300mm focal-length lens on a 35mm format camera. ** The angle of view is calculated based on the latest image sensor size of Sony’s NEX series. The angle of view of the lens when used for video on the Sony digital HD video camera recorder NEX-VG10 is 32.4–360mm when converted to the 35mm format. *** Length is the distance between the mount face and the tip of the lens. **** Entire length is the distance between the tip of the lens and the tip of the protrusion. * Specifications, appearance, functionality, etc. may be changed without prior notice.